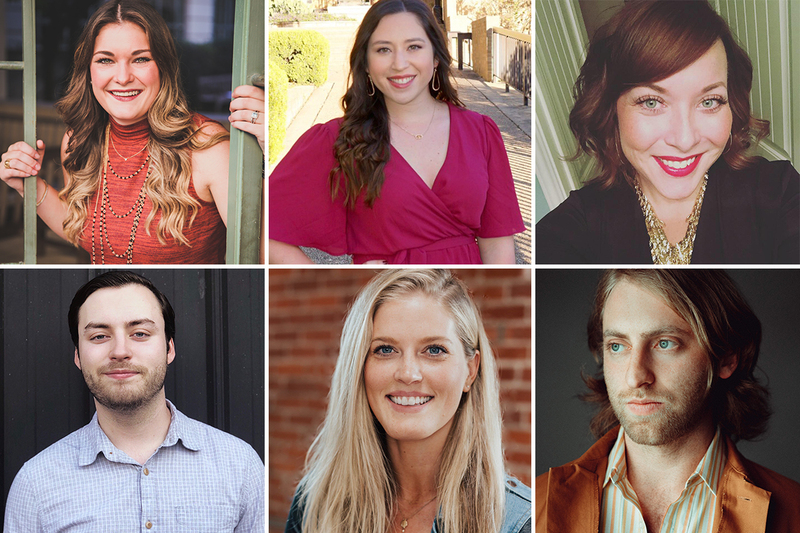 Pictured (Clockwise, from top left): Avery Bashaw, Aaryn Cantu, Jen Dalton, John Smalt, Kelly Kresen, and Alec Edmonds. Triple 8 Management partners George Couri and Bruce Kalmick have made staff additions in both the company’s Austin, Texas and Nashville, Tennessee offices. The staff changes include five new hires and one promotion in management and marketing, creating a total of 35 Triple 8 team members. The Triple 8 Nashville team has also moved their offices from Music Row to a newly renovated space in Wedgewood-Houston. Joining the company are Aaryn Cantu, Jen Dalton, Alec Edmonds, Kelly Kresen and Jon Smalt. Additionally, former Marketing Assistant Avery Bashaw will take on a new role as Marketing Manager. “Bruce, Jesse, Paul, and I are always looking to serve artists in more ways, and we have made it a priority to find driven, smart, dedicated professionals who share our vision” said Couri. Jon Smalt joins Triple 8 Management as a Manager in the Nashville office. He is bringing with him artists Devon Gilfillian and Becca Mancari. He has drummed professionally for 10+ years, managed artists and produced records. He also owns two boutique music festivals. Kelly Kresen joins the team as Day-to-Day Manager for Kaleo and will work out of the Nashville office. Kresen comes to Triple 8 from her role as VP of Partnerships and Strategy for Los Angeles-based music management company, Gin + Tonic. Prior to relocating to Nashville in July 2017, Kresen was a business and legal affairs executive at APA. Jen Dalton joins Triple 8 Management as a Marketing Director. She has spent the last 13 years as a Regional Promotion Manager for Concord Music Group, RCA Records and Epic Records. Prior to that, she was the Music Director at KUBE-FM/Seattle, the Marketing, Events and Music Director at KKRZ-Portland and the Promotions Director for KNRK-Portland. Dalton will work out of Triple 8’s Austin office, where she has lived for eight years. Aaryn Cantu joins the team as Marketing Assistant. Cantu has interned for Triple 8 on two separate occasions and will be based out of the Austin office. Alec Edmonds completed internships at Triple 8 Management and Universal Music Group. Edmonds joins the team as a Day-to-Day Management Assistant in the Nashville office. Avery Bashaw has been promoted from Marketing Assistant to Marketing Manager. In her new role, she will continue to work out of Triple 8’s Austin office.